More and more consumers are turning to organics in edible produce and fashion textiles, and the same is true with mattresses and beds. Natural and organic mattresses offer an alternative to consumers concerned about long term exposure to artificial and sometimes petroleum based chemicals used in the manufacturing of other types of mattresses. Materials commonly used in natural and organic mattresses are organic latex rubber derived from the rubber tree, organic cotton, and organic wool. Often natural and organic mattresses are innerspring mattresses, or function like memory foam in their design. Nest Bedding is one of the highest rated mattress companies and sells natural, organic certified bed products. Memory Foam was originally made popular by the Tempurpedic company and is mostly produced using polyurethane, although some of the more recent models are produced using a hypoallergenic form of latex. 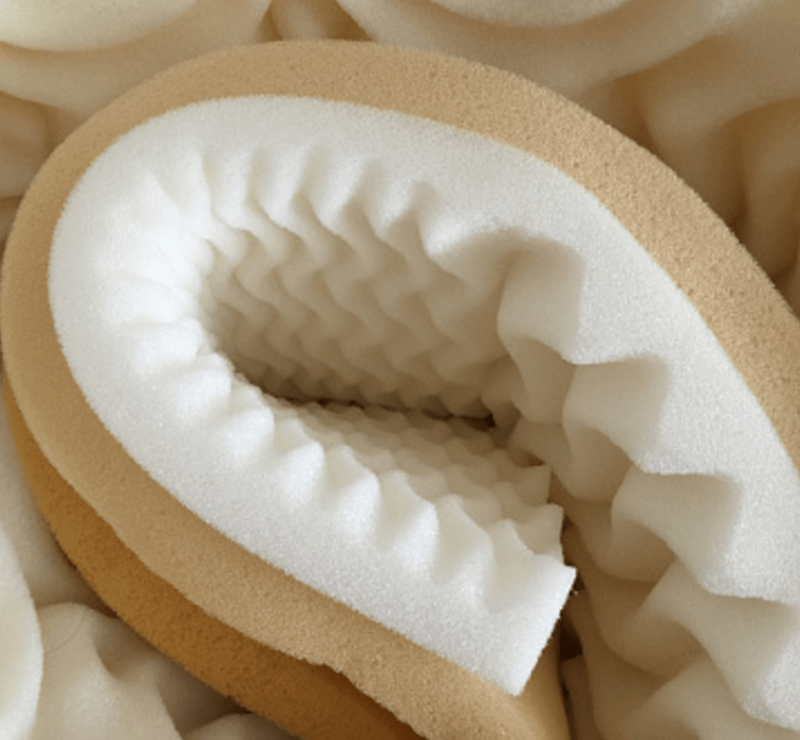 Memory foam has a sponge-like texture that molds around the curves of the body and is designed to keep the alignment of the spine and joints in a sort of preserved suspension. Innerspring mattresses are some of the more traditional mattresses on the market. They feature a connected structure of steel springs to support the sleep surface, and a soft layer that sits on top. Some more recent hybrid models combine the steel spring foundation with layers of memory foam or other such soft material in what’s commonly called the pillowtop layer. Adjustable air mattresses are just as they sound. An adjustable air mattress is one in which a chamber within the mattress is filled using an air pump that’s often attached and sits at the side of the mattress. Some adjustable air mattresses feature two different sides, so that each side of the mattress can be filled to each partner’s desire. 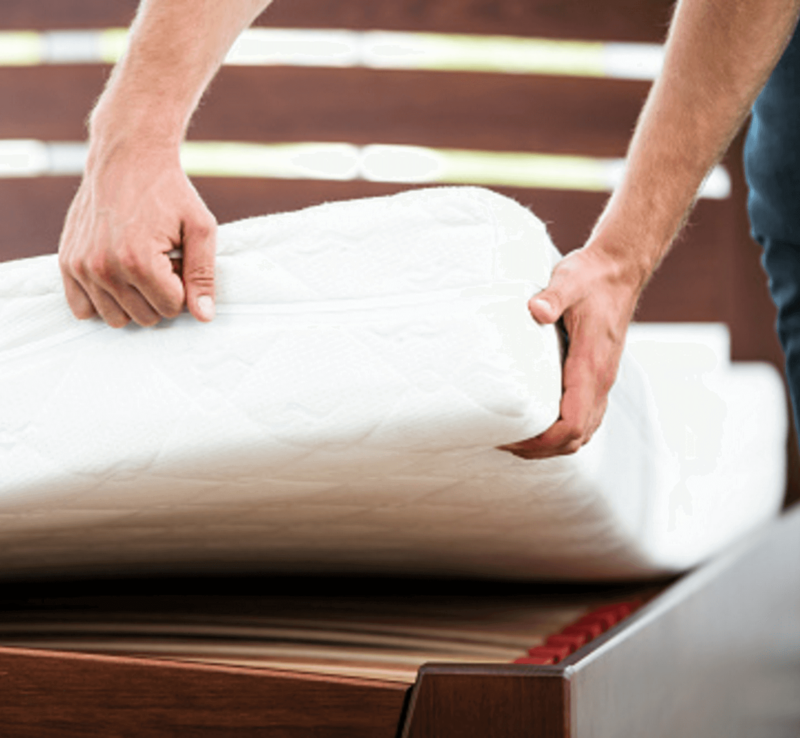 It’s common for adjustable air mattresses to feature layers of padding or memory foam to both support the air core of the mattress and increase its comfort. Beds have been around since the earliest times. Ever since people have laid down to rest, some sort of soft material has been sought to rest on. It’s so natural we hardly stop to think about the purpose of the bed and a soft surface for sleeping. While it’s our natural instincts that tell us we need a soft surface, it’s not hard to understand why. It’s the soft surface that acts to alleviate pressure on the joints and soft tissues. Beyond our instincts for a soft surface, in modern times we’ve been able to look farther through the field of ergonomics into what’s best for our body and long term health while we sleep. The perfect bed is one which offers the softness to alleviate pressure on the joints, but the right support to keep the alignment of the back and neck straight while we sleep. 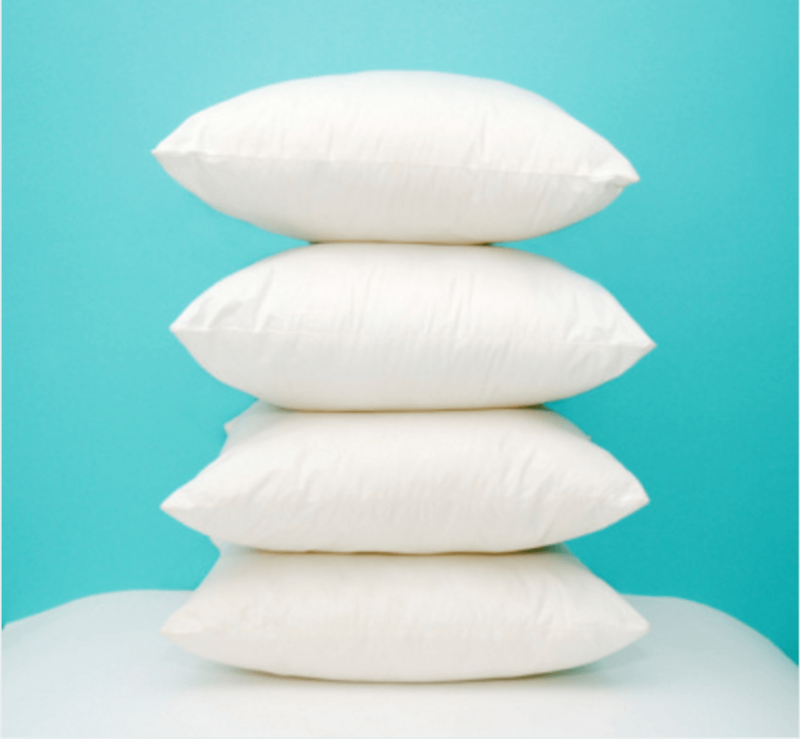 Our bodies are naturally curvy around the shoulders and hips, and therefore the perfect bed and pillow combination must accommodate for those curves while providing the right upward pressure to keep our alignment straight. For more on this and to investigate the top mattresses and pillows, check out our Mattress and Pillow Sections. For many years the trend has held that the most popular mattress size in america is the Queen size bed. More than ever consumers are becoming concerned about the way their products are sourced and made, and that trend is extending into the bed and mattress industry. More and more people are starting to investigate natural and organic mattresses as an alternative to the traditional petroleum based polyester and polyurethane mattresses which can emit volatile organic compounds or VOCs when new. VOCs are carbon based chemicals that dissipate into the air at room temperatures. It’s these VOCs people are referring to with the term ‘off gassing’. Untreated Wool which has the advantage of being naturally fire and dust mite resistant. Cotton wrapped in Wool Cotton is not naturally fire resistant and therefore is often wrapped in wool lining to comply with the Consumer Product Safety Commission standards. Natural Latex This natural rubber is made from rubber trees as opposed to the more common petroleum based polyurethane. The bed, and in particularly the mattress is a focus that has been hit hard by startups in recent years. It used to be buying a mattress was about going to the big mattress store and walking the floor with a sales representative, who would explain the features of each bed. You would be invited to lie on each model to test its softness or firmness. Nowadays there are many more companies selling a “bed-in-a-box” mattress where the mattress comes delivered to your door rolled and sealed in a compact tube. With more information and reviews, consumers are treating the choice of their bed and mattress much like they treat other items they order online. While it’s certainly great to have the convenience of a mattress delivery (no more strapping the mattress to the roof of your car), it can still be a good idea to visit a showroom to lie down and test out any mattress you’re thinking about buying. Most people choose to raise their mattress off the ground to form their bed, and besides the bed frame itself there’s often another piece that the mattress rests on. This is known as the bed base or mattress foundation. A Standard bed base height is 9” while a Low Profile bed base usually is measured at 5”. The most common bed base is the box spring, which is essentially just a hollow wooden frame covered in cloth with springs inside of it. It’s a simple and cost effective way of adding another layer of ‘give’ to your bed while elevating the height of the bed. The Adjustable Base is a more modern invention involving a flexible mattress foundation. The Adjustable Base often features the ability to raise and lower certain sections of the bed making it easier to sit up, or elevate the legs. Often referred to as a single, the Twin is typically considered a single sleeper with room for one adult. The same width as the Twin, the Twin Extra Long is the most common bed size found in college dorms. The Twin Extra Long is also referred to as the Twin XL. The Full Mattress size is also known as a Double. It’s considered the smallest bed designed to sleep two adults. The Full Extra Long, or Full XL is the same width as the Full, just a little longer. One of the chief complaints about the Full is that the length may be short for taller people to sleep all the way on the mattress. The Full Extra Long is designed to correct this. The Queen Mattress is the most commonly sold mattress in America. It comfortably sleeps two adults. The King Mattress is the same size as two twin beds that have been pushed together. The King size is growing in popularity in America in recent years. A King Mattress will often be sold with two Twin sized box springs to make it easier to move and adjust. The California King, or Western King trades four inches of width from the traditional King size for four inches of length. At this size of mattress, the difference is mostly for aesthetic reasons. Where the King appears very square in it’s shape, the California King retains the more rectangular mattress feel. It should be noted that bedding for a California King may be harder to shop for and find than bedding for any other standard mattress. Know Anyone Interested In Sleeping Better? Please Share!